Here at the Forge Project we are passionate about reducing the impact of poverty and homelessness in Scunthorpe and the surrounding areas. In the past seventeen years we have come to realise that you have to address the causal issues first of why people are homeless or are struggling with poverty. Some of the main issues are substance or alcohol misuse, mental health issues, social isolation or a combination of two or more of these. Our Day Centre offers warm nutritious meals four days a week and a befriending service and whoever attends the project is guaranteed a warm welcome by people who care. As well as food, warmth and a friendly atmosphere our Day Centre staff provide support, signposting and referral to appropriate agencies as and where required. 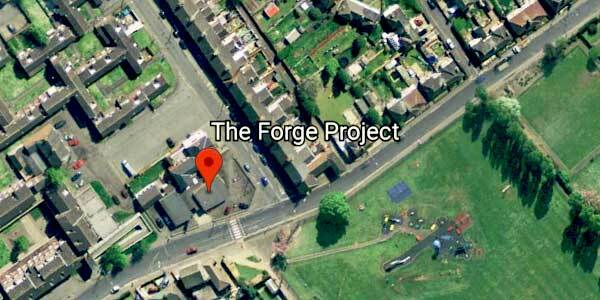 Over the last seventeen years the Forge Project has built up many excellent partnerships with other agencies such as social local housing authorities, drug agencies, mental health agencies and social and private landlords. Working closely with these agencies helps us to be able to signpost our service users to the right agency quickly. Due to the change in the benefits system alongside the economic recession our records are showing an ever increasing demand for our services and in the last twelve months alone the numbers attending our Day Centre have nearly doubled and unfortunately we can only see these numbers increasing again.